De Atramentis Myrrh is a bright turquoise blue ink that’s scented to smell like the Myrrh plant. Hence, the name. I love the brightness of the ink. It’s a happy colour that pops off the page. It’s a decent shading ink as well, going from a deep royal blue to a bright turquoise. 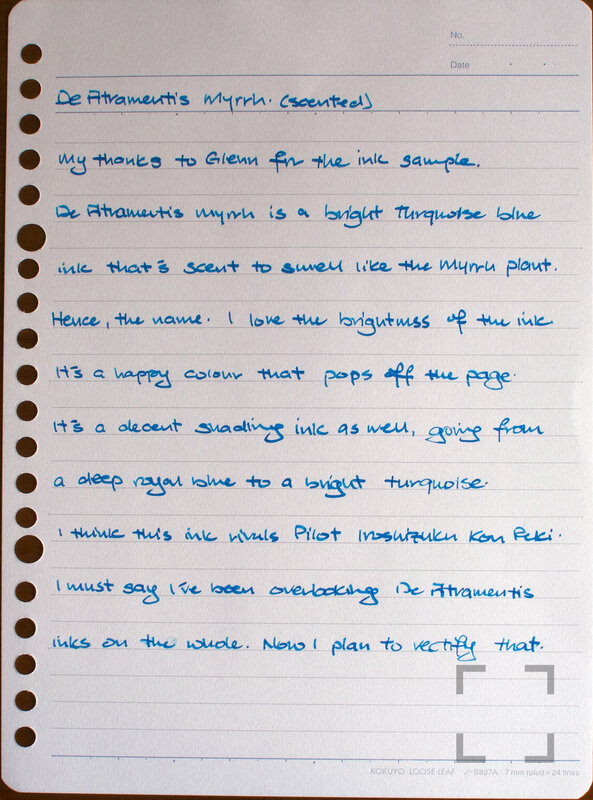 I think this ink rivals Pilot Iroshizuku Kon Peki. I must say I’ve been overlooking De Atramentis inks on the whole. Now I plan to rectify that.